— Celtics 110, Pacers 106— Boston sweeps series, 4-0. — Warriors 113, Clippers 105— Klay Thompson had 27 points at the half. — Trailblazers 111, Thunder 98— Russell Westbrook was 5-21 from the floor. — Sharks 2, Golden Knights 1 (2 OT)— Game 7 is Tuesday in San Jose. — Bruins 4, Maple Leafs 2— Game 7 is Tuesday in Boston. — Nets’ GM Sean Marks was suspended one game without pay, fined $25,000 for entering the refs’ locker room after Brooklyn’s 112-108 loss Saturday. Which two current starting QB’s were the top two picks in the 2015 NFL Draft? San Diego Chargers drafted Eli Manning in 2004, then traded him to the Giants for Philip Rivers. Giants traded an ’05 #1 pick and an ‘04 3rd-round pick to the Chargers in that deal. Four of the top five picks in the 1989 NFL Draft are Hall of Famers (Troy Aikman, Barry Sanders, Derrick Thomas, Deion Sanders); Tony Mandarich was the #2 pick that year, an offensive lineman from Michigan State. Green Bay drafted Mandarich. 13) Philadelphia Eagles’ center Travis Kelce played LY with a broken foot, something he called a “torn elbow” (he wore a big brace), and a Grade 2 MCL tear. Toronto pitcher Aaron Sanchez left Sunday’s game in Oakland with a broken right fingernail on the middle finger of his pitching hand. 12) Jim Kaat and Bert Blyleven discussed pitching all weekend on Twins’ TV; Kaat said Sunday he thinks the strike zone is much tighter now than when he pitched. Blyleven mentioned that back when he pitched, umpires weren’t graded on each pitch by MLB and that has changed how the game is called. 11) Twins hit 11 home runs in their doubleheader sweep of the Orioles Saturday. Hard to believe Baltimore was in the playoffs only three years ago; their team is awful. Baltimore’s AAA farm team is 7-10, their AA team is 3-13 and got shut out in both ends of a twin bill Saturday, so not sure where the Orioles’ help is going to come from. 10) Indianapolis Colts’ owner Jim Irsay recently spent $718,750 for the piano John Lennon used to write songs for Sergeant Pepper’s Lonely Hearts Club Band. 9) They run a commercial on Colorado Rockies games for University of Colorado health services; it shows an older fellow who struggles to get out of his easy chair, then starts to work out- they show pics in his house of him running when he was much younger. They show the man’s name; he survived heart failure, and as he recovers, his treadmill workouts get more rigorous, and the commercial ends with him finishing a 2-mile run in a local race. The commercial is so well-done and very inspirational; the guy should get a sneaker contract from Nike or adidas, and they should run that commercial during the Super Bowl. 8) Christian Yelich is first player with 12+ homers in his team’s first 22 games since Alex Rodriguez in 2007. — Rays’ OF Austin Meadows (thumb) had an MRI. — Blue Jays put P Matt Shoemaker (knee) on IL; he tore his ACL and is out for the season. 6) Merrill Kelly threw 109 pitches for Arizona Friday, but he didn’t finish the 4th inning. He got 18 called strikes, had 21 pitches fouled off, gave up six hits on 12 balls in play. Funny thing, two of the three runs he gave up came on a harmless looking pop-up to short CF that the wind played games with and no one caught it. 5) Detroit Pistons have lost 13 consecutive playoff games, tied for longest-ever streak in NBA. 4) Seattle Mariners have already had five games with 4+ homers this year; all of last season, they had five games with 4+ home runs. 3) Former major league OF Matt Holliday is retired now and lives in Stillwater, OK; he recently had a house built in Stillwater. The guy who built the house is Philly catcher JT Realmuto’s uncle. Small world. 2) Good grief, the Utah Jazz uniforms are terrible. Like the old purple uniforms with the musical note on them that Pete Maravich wore for the Jazz back in the day. 1) A comedian was elected president of Ukraine; I was going to make a joke about this, but then remembered who the president is here. Having a comedian as president wouldn’t be so bad. Sunday’s List of 13: Wrapping up a sports Saturday……..
13) Twins-Orioles broadcast Saturday was great; Jim Kaat, Bert Blyleven were the analysts and it was educational. Play-by-play guy described the action on the field then got out of the way and let the two experts talk. Good stuff. Kaat was saying how much harder batters work now before the game, and he referenced Aaron Judge going on the IL Saturday with an oblique strain. It is possible to overtrain. 12) Auburn’s Chuma Okeke tore his ACL during the NCAA tournament, but he is entering the NBA Draft anyway, not really sure why. You’d think he’d stay in school, use the school’s facilities to strenghten/rehab his knee, then go into the ’20 draft. We’ll see how this works out for him. — NFL’s Senior VP of broadcasting Howard Katz is one of the people who makes the NFL schedule every year. — Philadelphia Eagles are only NFL team that plays three straight weeks on road this year. — Katz and Eagles’ coach Doug Pedersen are next-door neighbors. Part of the reason the Eagles are on road for three straight weeks in October is that the Phillies are expected to be World Series contenders, and the NFL didn’t want any conflicts between Eagle/Phillies games, seeing how they share parking areas. 9) Miami Marlins fired hitting coach Mike Pagliarulo after 20 games; it ain’t his fault Miami has a bad team. Marlins fired hitting coach Frank Menechino after last season; what they need to do is find an owner who is willing to spend money on ballplayers. Two years ago, Miami’s outfield was Yelich-Ozuna-Stanton, then the team was sold and the new geniuses who are in charge traded the three of them for three piles of crap. No bueno. 8) Keldon Johnson scored 13.5 ppg this year as a freshman at Kentucky; he is projected by one draft guru to be picked 17th in June’s NBA Draft. Johnson was seen in Hollywood this week driving a $300,000 McLaren 720S Spider; until watching a Showtime special a few weeks ago, I had no idea that there were cars that cost so much money. Wish the young man well in his NBA career, but someone might want to teach him money management skills before it is too late. Last year’s NBA rookie salary scale paid the #17 pick a total of $6,358,500 for his first three years in the league. Taxes eat half of that, agent takes another 3%, so he’s down to $2,988,495 before he starts. Donte DiVincenzo was the #17 pick LY; he played 15.2 mpg, scored 4.9 ppg, so he’s no lock for a second contract in the league when the time comes. The second contract is the key; thats where guys establish themselves in the NBA. Then they can buy the $300,000 car. — New York put Aaron Judge (oblique) on IL. — Red Sox put P Nathan Eovaldi (elbow) on IL. — Pirates put 2B Erik Gonzalez (clavicle), CF Starling Marte (abdomen) on IL. — Phillies put SS Jean Segura (hamstring), P Victor Arano (elbow) on IL. 6) Former Georgia/Miami football coach Mark Richt will be an analyst on the new ACC Network starting this fall. 5) There is a high school football stadium in Jacksonville, TX called the Tomato Bowl. Long time to let the books hold your money; will odds change that much between now and before the preseason games start this summer? 3) Giants have apparently talked about trading for Arizona QB Josh Rosen, but don’t want to give up either one of their first round picks (6th, 17th picks) in this draft. Rosen was the 2nd player taken in last year’s draft, so if you won’t give up a first round pick for him now, then you really don’t want him. 2) From Henry Schulman: Since 1912, the longest a team has gone to start a season without scoring a first-inning run is 28 games. Giants are at 22 games and counting thru Saturday. 1) 76ers 112 (-3.5), Nets 108— Philly hit two foul shots with 0:06 left to cover the spread; if you had Brooklyn +3.5, this was a bad beat. Embiid had 31 points, 16 rebounds for Philly. Author Armadillo SportsPosted on April 20, 2019 Leave a comment on Sunday’s List of 13: Wrapping up a sports Saturday…….. Apparently this isn’t all that unusual; Gil Brandt told a story this week from 1987, where they told one scout about this LB they want to draft (they didn’t really want to). Two days later, a writer in Dallas posts this article about how the Cowboys are going to take the LB, which outed the scout as a leaker. He then became an ex-scout. 12) Other former front office guys have been saying on Twitter this week that the last 8-10 years, teams have been limiting access to a team’s draft board to only the top 3-4 football people. 11) Blue Jays are calling up top prospect Vladimir Guerrero Jr; he is expected to make his big league debut on Tuesday against the Giants. 10) College basketball is getting to the point where any returning player who scored double figures for a low-to-mid major is getting poached by bigger schools. Norfolk State’s leading scorer entered the transfer portal the week; it makes handicapping during the season that much harder. Will the new player fit in? How much does his departure hurt his former team? Can’t be much fun for guys who coach in low/mid-majors. 9) Was reading something this week about how they’re using major league baseballs at the AAA level for the first time this year, and home runs have spiked early in the season. Homers in the International League are up 39%; in the Pacific Coast League, 32%. 8) San Antonio Spurs’ Derrick White played three years of D-II ball at Colorado–Colorado Springs, transferred and played his senior year for the Colorado Buffaloes; he had zero D-I scholarship offers out of high school. None. This year, he played 25.8 mpg for the Spurs, scored 9.9 ppg. He scored 36 points in the Spurs’ Game 3 win over Denver Thursday. Good for him. — Red Sox put IF Eduardo Núñez (back) on IL. — Padres put OF Manuel Margot on the paternity list, called up Jose Pirela. — Mets put Jacob deGrom (elbow) on the IL. 6) NCAA relaxed some transfer rules for freshmen: Incoming freshmen who enroll in summer school and receive financial aid can transfer and play immediately without a waiver if their coach leaves prior to the first day of fall classes. This involves situations where a coach gets fired late in the spring or in summer, like couple years ago when Ohio State fired Thad Matta. It does not include football players who are early enrollees. 5) Not sure what the wisdom of the four outfielder shift is; seems like having four infielders would be a better idea. Lot of the guys you use the four OF shift with, if they hit it in the air to the outfield, it is going over the fence anyway. 4) Former UNLV coach Marvin Menzies signed on to be an assistant coach for Dan Majerle at Grand Canyon University in the WAC. 3) Mets’ ace Jacob deGrom will have an MRI on his elbow Monday, which is bad news for the Mets and worse news for my fantasy team. I mentioned a few days ago how deGrom had trouble putting hitters away in his last two starts, and this is probably a big reason why. 2) Draft trivia correction: Kyler Murray’s father Kevin was taken in the 11th round in the 1982 baseball draft, the 288th player taken, one spot after Bill Ripken (Cal’s brother). 1) Nick Saban will have hip replacement surgery on Monday; can’t imagine he’d be much fun to have as a patient in the hospital. Good luck to all the nurses…….. Author Armadillo SportsPosted on April 19, 2019 April 20, 2019 Leave a comment on Saturday’s List of 13: Clearing out a cluttered mind……. 13) St John’s struggled with hiring a basketball coach; apparently there was an internal divide about who the school should go after. St John’s is located in Jamaica, Queens, which is part of New York City. You’d think it would be a prime job. The basketball coach at Loyola-Chicago interviewed for the St John’s job, was offered an 8-year contract that doubled his salary, and turned it down. Not many people turn down $2M a year. Loyola is in the Missouri Valley Conference, the 15th-rated league in America. Ramblers have been in the MVC for six years, going 27-9 the last two years, after going 27-45 in their first four years, when Wichita State was in the Valley and it was a tougher league (#10 league in 2017). 2001-03, Ark-Little Rock: 48-34 overall, 25-19 in Sun Belt games. No trips to NCAA’s. 2004-07, Illinois State: 51-67 overall, 22-50 in MVC games, when both Creighton/Wichita were in the league. No trips to NCAA’s. 2012-present, Loyola: 141-125 overall, 6-28 in Horizon games, then 54-54 in MVC. One trip to NCAA’s. 11) 15 years as a head coach, one time in the NCAA tournament, but it was one great time, An 11-seed in 2018, Loyola made it to the Final Four, with three of their four wins in NCAA’s that year by either one or two points. Big East was the #5 league this season, after being #2 or #3 the previous four years. 10) Then there is Iona coach Tim Cluess, who is 199-108 in nine years as coach at Iona, which is in New Rochelle. According to Mapquest, Iona/St John’s are 19.1 miles apart. Under Cluess, Iona is 124-46 in MAAC games; they’ve made the NCAA tournament the last four years and six of last eight years. Cluess also coached D-II ball at CW Post (now LIU Post) for four years, going 98-23. Cluess played at St John’s from 1979-81; three of his brothers also played at St John’s; he knows the NYC/New Jersey area. Not sure why St John’s didn’t hire him, but Cluess took his name out of the running Thursday. Update: St John’s hired former UAB/Missouri/Arkansas coach Mike Anderson. His teams will play hard and play fast. He’s never had a losing season (two 16-16 seasons) and won 20+ games in 11 of 17 seasons as a head coach. 9) Chargers are going to wear their powder blue jerseys as their home uniform for the 2019 season, which is a smart decision. I’m wondering how many fans come up from San Diego to Carson for Charger home games now; they move into the Inglewood dome in 2020. 8) Tampa Bay Buccaneers might not be too happy with their 2019 schedule; they go seven weeks without playing a home game, and during those 49 days, they’ll travel a total of 20,378 miles to play in Los Angeles, New Orleans, London, Nashville and Seattle. They play the Giants at home in Week 3, and then not again until Week 10. 7) USC has already added three grad transfers for next season, all kids who can shoot the 3; they shot 37-40-45% from the arc last year, at Akron-Columbia-San Jose State. Trojans have couple of highly-touted freshman big men coming in- they should be a lot better next season. 6) First seven games at the new ballpark in Las Vegas was 9,744, which amounts to seven sellouts. AAA Aviators are the Oakland A’s farm club. Old ballpark was downtown, next to the Cashman Center; terrific park to watch a game. New park is in Summerlin, right near the Red Rock Hotel, roughly 14 miles from downtown. 5) LSU told athletic director Joe Alleva take a hike; not sure what this means for basketball coach Will Wade, who was suspended by Alleva but was reinstated last week. — A’s put P Marco Estrada (back) on the IL. — Phillies put OF Odubel Herrera (hamstring) in the IL. 3) In 2015, there were 104 complete games pitched in the major leagues, only 42 last year. 2) Joey Votto popped out to the first baseman Wednesday night, for the first time in his 6,828 major league plate appearances. He still has never popped out to the catcher or the pitcher. 1) New Jersey Jets do not leave the eastern time zone at all during the 2019 season; they even have three home games in preseason, seeing how the Jets-Giants game is a Giants “home” game. By way of contrast, LA Rams play four games in eastern time zone, a preseason game in Hawai’i and a regular season game in London. Lot of travel for them. 13) 100th season of the NFL starts with league’s oldest rivals (Packers/Bears) opening the season with a Thursday night game in Chicago September 5. 12) Monday night doubleheader in Week 1: Texans @ Saints, Broncos @ Raiders. 6) Pittsburgh plays five of its last seven games on road; they play Cleveland twice in three weeks, in Weeks 11, 13. — Eagles, Week 6-8. This appears to be the only one in the whole league. Am guessing Philly brass won’t be happy with this. 4) Miami plays one road game in the first six weeks; they have four home games and a bye, with only road game in in Week 3 at Dallas. 2) Earliest byes: Jets, 49ers in Week 4. Latest byes: Cardinals, Chiefs, Chargers, Vikings in Week 12. 1) No Thursday night game in Week 16-17. Author Armadillo SportsPosted on April 16, 2019 April 17, 2019 Leave a comment on Wednesday’s List of 13: Mid-week musings……. 14) Get well soon to Mets’ broadcaster Ron Darling, who is taking a medical leave from his TV gig. Darling is one of the best broadcasters on TV; he will be missed. Get well soon, sir. 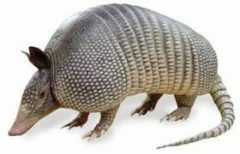 Author Armadillo SportsPosted on April 12, 2019 Leave a comment on Saturday’s List of 13: Clearing out a cluttered mind……. 13) Baseball season is only 15 days old, and San Diego Padres have already had three starting pitchers (Paddack, Margevicius, Avila) make their major league debuts. None of the three ever pitched at the AAA level, which is very unusual- the three combined to make only eight starts at the AA level, which is revolutionary thinking. 12) Teams/players have exit interviews after each season; if HBO wants to do a good reality show along the lines of Hard Knocks, these interviews would be fun to watch. No matter what team it is, there are always unhappy players at the end of a season; some of these teams don’t have many happy players. Must be some interesting conversation going on, moreso in basketball/baseball, teams with smaller rosters. 11) I mean, Sacramento Kings just finished a 39-43 season, their best season in 13 years, yet they fired their coach. How do you think that exit interview went? Lot of politics in NBA coaching circles; the coach tried to win games, people in the front office wanted him to play the younger players more, which would’ve resulted in fewer wins, but maybe more longterm success if the younger players developed faster. Maybe there’s a reason Sacramento hasn’t had a winning season in over a decade. 10) Southern Miss recently hired a new athletic director, and Thursday basketball coach Doc Sadler quit, probably to become an assistant to Fred Hoiberg at Nebraska. Sadler was at USM for five years, re-buillding a program that was ravaged by NCAA sanctions. Golden Eagles went 20-13 this year, their best season under Sadler- they started three seniors, so the new coach will have some recruiting to do. Whats slightly odd is that Sadler was Nebraska’s head coach from 2006-12, when the Huskers moved from the Big X to the Big 14. He was making $360,000 at Southern Miss, will take a pay cut to become an assistant, but probably not a big one. Just catches your attention when a pretty good head coach quits to become an assistant. 9) If I ran major league baseball, I’d end all blackout policies, would let people use all the highlights from major/minor league games. In short, I’d give the game maximum exposure so that the casual fan/non-fans can see how excellent it is and they’ll develop an interest. Baseball does the opposite, and I’m guessing there is a financial reason why, but over the long haul, getting younger people invested in the game seems like a smarter business plan. 8) Not really sure why, but ESPN doesn’t have Baseball Tonight anymore, but they have an hour-long NBA show during the day year-round. Baseball needs more exposure. — Nevada signed Steve Alford to replace Eric Musselman as coach. 6) Every returning Nevada player has entered the transfer portal, except for two guys who transferred there last year, and aren’t eligible until 2nd semester next season. Alford is going to have to do quick work re-recruiting the returnees, or he’ll have to recruit a whole new team. Similar thing at LSU, where five players have declared for the NBA Draft; if they fire Will Wade, and it seems likely they will, the new coach is going to be handed a depleted roster. 5) In the bottom of the 5th inning Wednesday night, Mets had seven consecutive batters reach base against Minnesota, without ever hitting a fair ball- six walks and a hit batter, against three different pitchers. All in all, Mets scored six runs in the inning, with two singles. 4) Cubs’ pitcher Jon Lester started his big league career 0-66 at the plate, but since then he’s hit .130 (27-207) to raise his career batting average to .099. 3) Patrick Reed shot a 73 at The Masters Thursday; each of the last eight rounds at The Masters by that year’s defending champ have been over par. 2) Red Sox 7, Blue Jays 6— Last season, Nathan Eovaldi allowed 14 homers in 111 IP. He’s allowed six homers this season in 15 IP. Boston scored twice in 9th for the comeback win; both teams are now 4-9 this season. 1) On February 12, 2016, Milwaukee traded Khris Davis to the A’s, for Jacob Nottingham and Bubba Derby. Since that trade, Davis has homered 142 times for Oakland. Nottingham is 4-20 in nine major league games, Derby has a 4.16 ERA in 103 minor league games. Pretty good trade for the A’s.